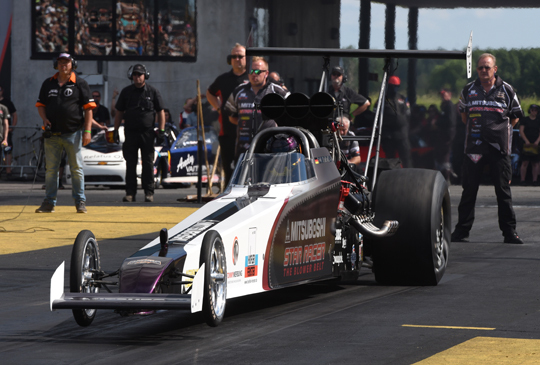 In a real ‘the winner takes it all’ semi-final Dennis Habermann claimed the 2018 FIA European Top Methanol Championship at the European Finals at Santa Pod Raceway. Being in the number two position behind leader and reigning champion Timo Habermann all season long, Dennis won that semi-final and took over the lead for the first time. The two brothers, rivals but also best friends, kept the numbers one and two in the team, but swapped the order compared to 2017. 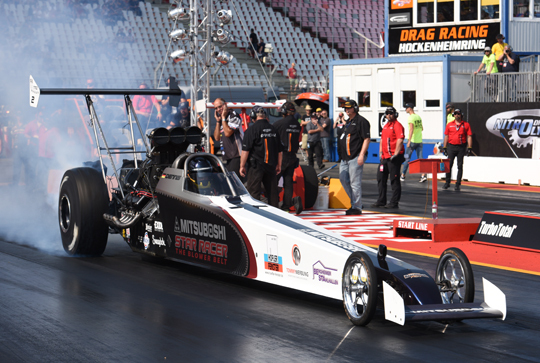 Dennis Habermann, the number two in the 2017 FIA European Top Methanol Championship, started the season with a runner-up finish behind his brother and 2017 champion Timo at Santa Pod’s Main Event. At Tierp Arena the two brothers were in the final again, but this time Dennis took the win. At Alastaro Dennis and Timo had to face each other in the semi-final and because Timo took the win and also claimed the event win, the reigning champion increased his points lead to 49 points. At Hockenheim Dennis and Timo were in the final once again and as Timo won his third race of the season, the gap increased to 73 points with two races to go. 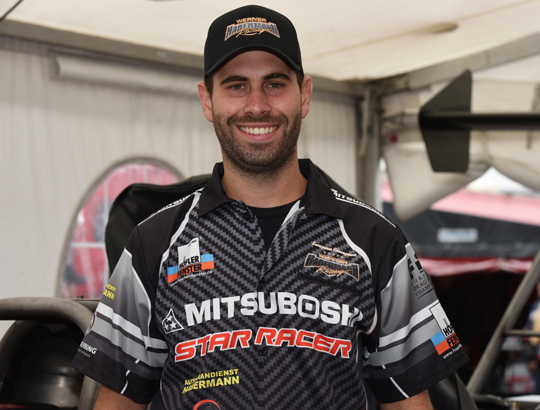 But at the Summit Racing Equipment Internationals at Tierp, the tide turned in favour of Dennis as the two brothers had to face each other in the first round and Dennis took the win. Because Dennis advanced to the final and took the victory, the gap between the two Werner Habermann Racing drivers was reduced to 15 points with only one race to go. 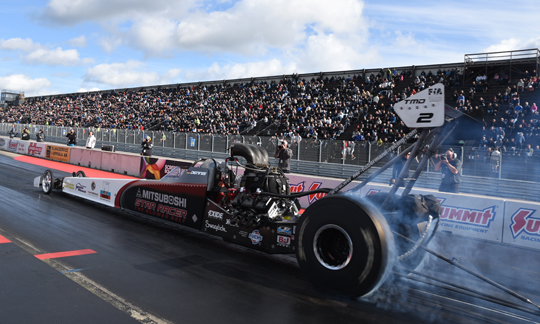 The title race went down to the wire as Dennis and Timo had to face each other in the semi-final of the European Finals at Santa Pod. In a nerve-racking race, Dennis claimed the win, took over the points lead for the first time in the 2018 season and clinched the 2018 FIA European Top Methanol title. Winning the event added the icing on the cake for the champion. 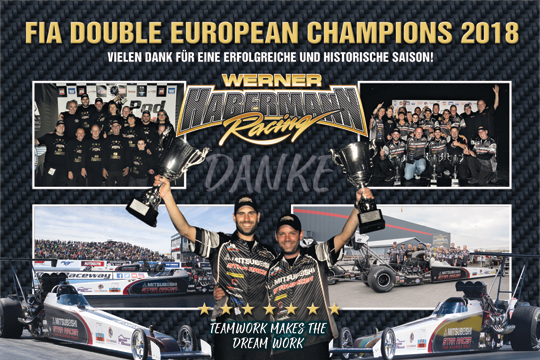 With Timo finishing the title race in second position, Werner Habermann Racing remained in the number one and two positions, but will have to change the numbers on the cars. How do you look back at last season? The last season was absolutely great for us. Yes it feels great to win a championship, but it is even better to have the numbers one and two in the team. The greatest in 2018 was that we won six out of six races, Timo three and me as well. We have only lost against each other. Nobody else beat us. This is absolutely awesome and makes me proud. What was your best race and what was the most important race for winning the title? Every race is really important if you try to win a championship, but the last race was the most important race when Timo was leading with only 15 points and we knew that we already had the title safe for the team. I had a wonderful weekend. We were running consistently quick that weekend. It was only one round that decided who would win the championship. Luckily it was me. I still feel so sorry for my brother, because he could win it too. But the nicest was that we also got the event win. Most proud of in 2018? That we got all six event wins. Worst/toughest moment of the season? Worst moment was my red light in Hockenheim in the final. It just feels bad if you have one, and I know that the team doesn’t like it either. 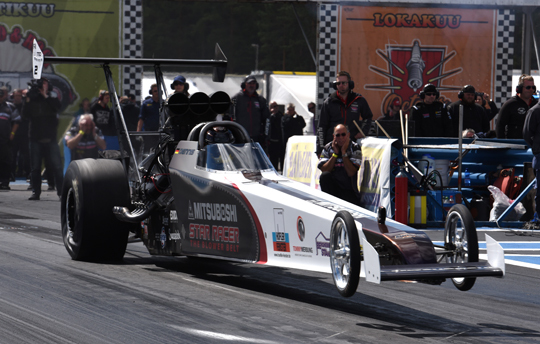 The best was the new personal best of 5.270 seconds and that we now have the two quickest blown Alcohol Dragsters outside the U.S.A. Toughest competitor, there are many, but my brother is definitely the toughest in the world. He is the hardest to beat and that is not just in 2018. People/companies you want to thank? We want to thank all of our crew who did an awesome job. And of course our family and friends who are always standing behind us. Our great fans and our sponsors: Mitsuboshi Star Racer, Höfler Fenster, Bergheimer Stahlhallen. Tommy Werbung, Autokrandienst Habermann, Swagelok, Exide Batteries, Fuchs Oil and Hoosier Tires. But the most important people are our parents who are always with us. Without mom and dad we wouldn’t be where we are right now.